Shakeaway, the world’s largest milkshake bar company, is excited to announce the launch of its MANAGER’s SPECIAL this month! 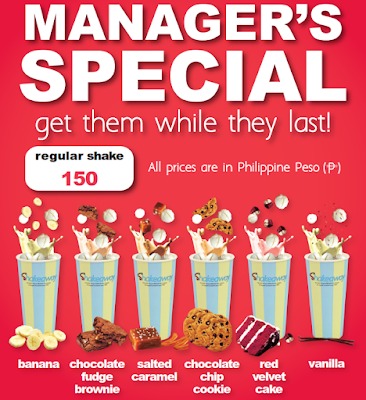 6 regular milkshake flavors that are certified favorites of our Shakettes are now available at a special price of P150 (from P190). These are: Banana, Chocolate Chip, Choco Fudge Brownie, Red Velvet, Salted Caramel, Vanilla. You also have the option to use ice cream or frozen yogurt for your milkshake. With over 20 toppings and 180 ingredients to add to your shake, you can make this drink your own. With summer coming up, it’s the best time to try Shakeaway milkshakes! 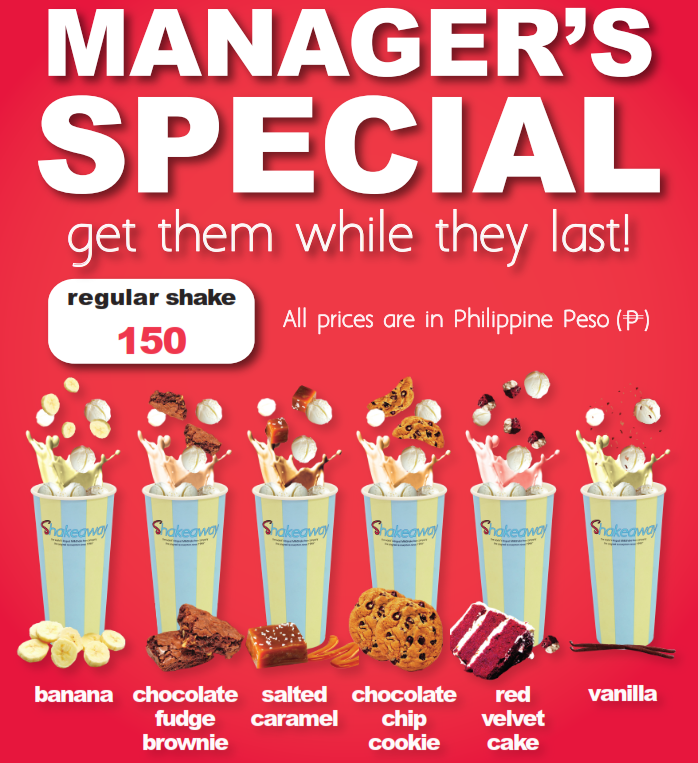 Head over to Shakeaway Branches located at 4th floor The Deck Uptown Mall, BGC, and Ground Floor Phase 2 U.P. Town Center, Quezon City.